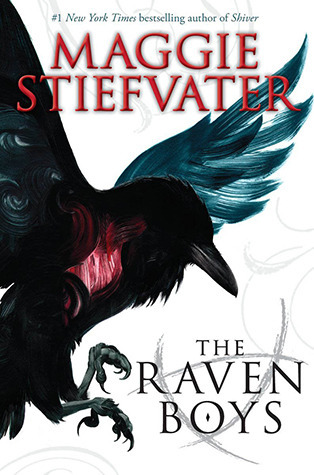 I've been raving and ranting and impatiently waiting for The Raven Boys ever since I finished Stiefvater's The Scorpio Races last month and while Maggie's new novel was nowhere close to the perfection that The Scorpio Races, it was a compelling mystery of its own. I hope to have my review for this one up later this week! FINALLY! Seriously, it feels as if I've been waiting for this book for decades! I loved The Girl of Fire and Thorns and I am sure that Crown of Embers will be just as - if not more - rewarding. So jealous of The Raven Boys! We have a dumpbin with hardcovers of it and they are absolutely beautiful and shiny! I would get one now but friend in the US got me a copy signed from Maggie so I’m patiently waiting for it whenever it does. Might wait for the second book first though. 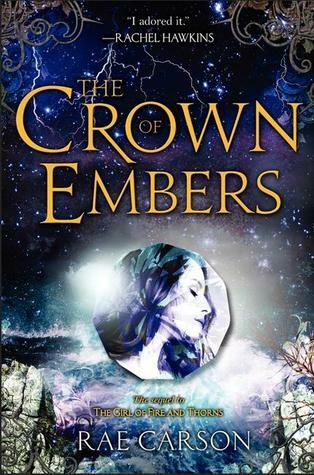 Can’t wait to hear what you think of Crown of Embers though I’m sure it’ll be positive since it seems you loves Fire and Thorns so much. I hope I enjoy it just as much as everyone else. Wow, this is such an incredible haul, Keertana! You won books and received your first printed ARC! :) I remember squealing in excitement when I got my first one too, haha. ;) I love that Midnight Garden bookmark by the way, it's so cute. :) And you purchased The Diviners as well! Can't wait to read that one, gosh. I hope you enjoy your goodies! Ooh you got The Crown of Embers - want it! I tried to get through Beta but I wasn't that interested. I hope you enjoy everything you got this week. Congrats on winning such an awesome giveaway!! The Forsaken looks really awesome, I'll also be keeping an eye out for your review of that. Beta also looks really great, although I've seen some iffy reviews of that one. Fabulous haul this week Keertana! <3 Congrats, once again, on getting your first ARC, and I hope you enjoy all those fantabulous books! I REALLY loved Monument 14. If you haven't read it yet then you NEED to pick it up!! The Forsaken was great too! and omg I LOVED The Raven Boys and can't wait to read The Crown of Embers!! GREAT book haul and congrats on the winning these awesome books! I'm reading Beta now, Hope you love it. OK. Your haul is EPIC. So curious about Sactum--it looks AMAZING. And Raven Boys and The Diviners? I DIE. Yeah for your first ARC. I have that book to read as well hoping it is a good one! Awesome win! I am s excited for Laini Taylor she lives right here in Portland so I will be going to a book signing! Have a great week! Yay, what an awesome haul! Congrats on a receiving a print ARC and on winning that awesome prize pack!!! You got some really awesome books this week!! Sanctum sounds really good. Yay for winning an awesome giveaway too!! I'll wait for your thoughts on Sanctum since I'm undecided. Congrats on your first print ARC though!! I never know about all those things so I just don't do it. haha. 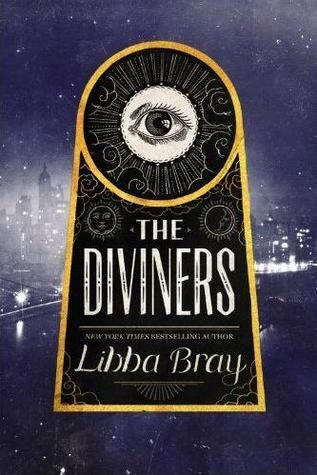 Well, The Diviners looks great and I've heard lots about The Raven Boys, so I hope you enjoy that one too! And ooooh, look at all those goodies. The Forsaken looks great whilst I'm a little unsure about the other one Beta. You are so darn lucky. I need to pay more attention to The Midnight Garden and actually find out where my email subscription went... I think it hit the spam box... since I haven't read a review in ages or really followed their blog properly. Bad me, but thanks for the encouragment! I'm really enjoying Sanctum so far, so it seems like I'll be recommending this one for sure. Yay, I'm glad the books got there safely, Keertana! I very much look forward to hearing what you think of everything. :) Happy reading! Eeeee, CONGRATS on your first print ARC!! You're amazing and you deserve it and SANCTUM. That sounds so, SO good. I am really excited to see what you think!! And wait... I did NOT know After Dark had faeries, dragons, pixies, -add list of other awesome creatures- SO going to check this out! Also: OMG OMG OMG OMG THE RAVEN BOYS. THE DIVINERS. BETA. DOBAS SAMPLER!!!!!! Sorry to hear The Raven Boys didn't live up to your love of TSR, though. ENJOY THE REST OF YOUR EFFING AMAZING HAUL. Thanks Brodie! 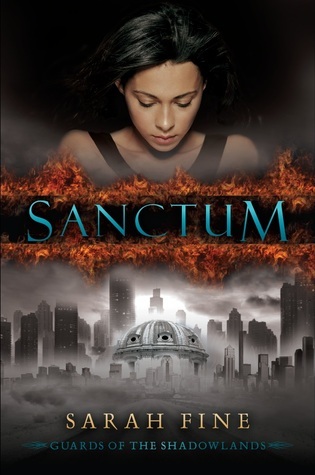 :D I am SO excited about Sanctum, especially since I've heard so many good things about it! 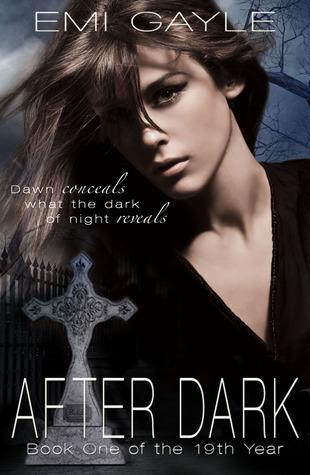 Yup, After Dark covers such a huge range of paranormal creatures, so I hope they make a large appearance in the book.